The Phantom Cabinet stores flood sources and phantoms* on their ends. The interior is sectioned by an adjustable divider. 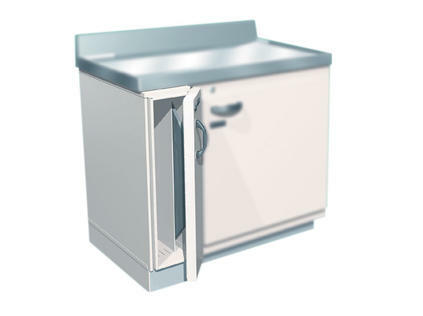 The Lead Lined Phantom Cabinet cannot be ordered separately, it must be part of a multiple cabinet configuration. 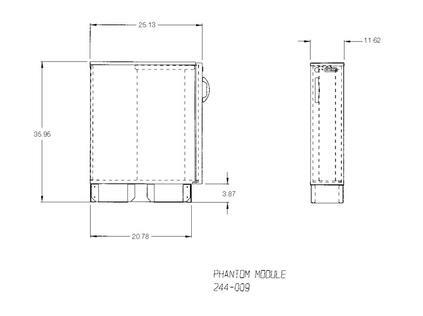 *Note: Phantom Cabinet does not accommodate 24" circular phantoms. Must be ordered as part of a multiple cabinet configuration.